I caved recently and decided to get an Android phone. 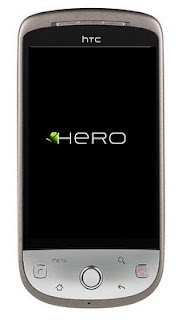 I got the HTC Hero and I love it! So far I've downloaded a ton of apps and I've found almost all the apps I have on my ipod touch or something just like it. The phone is great and I really don't have any complaints about it. I've read some reviews and comments about the Android phone especially the Hero and many of the problems can be fixed with apps and if you know how to use the phone. I think some of these apps such as Advanced Task killer, which will kill apps and widgets from running in the background all the time, should come already installed on the phone. 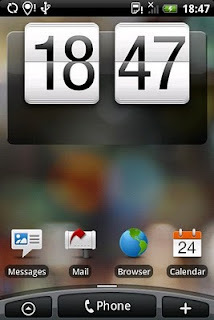 Having a lot of apps and widgets running will slow down the phone and kill the battery life. If you keep the basics running like e-mail, messages, twitter, and facebook the phone runs smoothly and the battery life is great! But if you're heavily using the phone and running more than 4 apps or widgets at once most likely the battery isn't going to last you very long. The 5 mega pixel camera is awesome, and most of the applications in the Market are free. I think I might have paid for 3 applications so far. The phone works great and I love how everything is synced to Facebook. All I have to do to check on my friends is go to their contact info in my phonebook and their picture status updates and all are right there! The phone is great for anyone who is a social networking geek like me. If you want to stay connected to everything this is the phone to get! It also syncs with your google account which it's no secret I LOVE GOOGLE! If you are thinking about switching I recommend it, but if you can't live without iTunes sync I wouldn't switch. And yes this does mean you will see reviews on Android Applications. I actually just downloaded an app that will let me blog straight from the phone easily. YAY!